While networking at events can be intimidating at times, especially when you don’t know anybody, there are various approaches to networking. On January 21, 2014, the Women’s Bar Association of Illinois hosted a panel discussion on “How to Network Your Way to the Top” at McDermott, Will & Emery. Stacey Austin of Wang Kobayashi Austin – an introvert by nature, who previously worked at powerhouse Winston Strawn, had to meet various clients. At the time, this was hard for the introvert, but her various networking opportunities helped her come out of her shell and therefore grow as an attorney. Jennifer Mikulina of McDermott, Will & Emery focused on internal networking within her firm and various practice groups. Deanna Blair of Blair | Caravelli initially used networking as a way to pass out business cards, she has since focused on building quality relationships with her connections and eventually formed friendships with them. Simply starting by saying “Hello” and introducing yourself. The rest goes from there, Ms. Blair states. 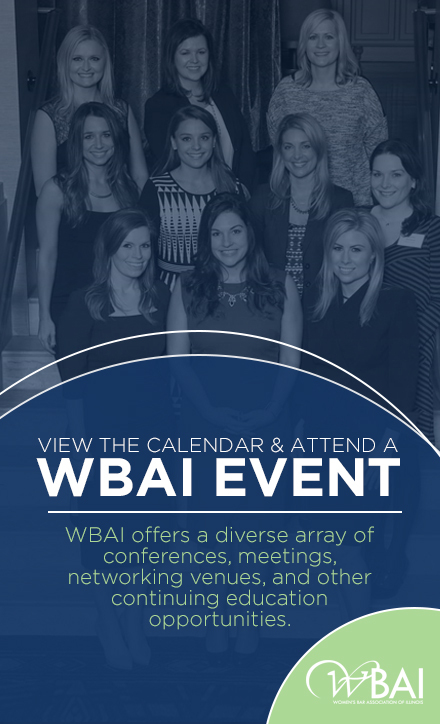 Networking doesn’t have to be confined to specific Bar Association sponsored events. The panelists suggested joining various trade associations, law school alumni groups, professional women’s networking groups, and junior boards. Ms. Mikulina suggested joining non-legal professional organizations to meet like-minded business people. Everyone can agree on the importance of always carrying business cards to various events. To help remember and differentiate all your connections, Ms. Blair suggested writing a remarkable attribute of the person on the back of their business card. All agree that there are advantages and disadvantages of social media. Ms. Mikulina is an advocate of using LinkedIn for her professional connections and promoting her firm’s marketing info. Ms. Kohut shied away from accepting former clients as connections. Ms. Austin equated LinkedIn to “match.com” for professionals. She believes that LinkedIn is a great tool to connect with people she has met at various events. She has made it a point to get to know all of her connections personally. After she receives a connection request, she messages the contact to meet in person. Ms. Blair admitted to struggling with friend requests from her clients and opposing counsel, especially in her practice area of family law, where clients could take offence at “Facebook friendships” with their spouse’s attorney. All of the panelists discussed the importance of working hard in their field. According to Ms. Blair, “networking includes doing good work for people” because clients will refer future clients. Ms. Mossing reiterated the importance of networking with everyone that you meet as they could be a potential source of business. Ms. Kohut always makes it a point to send her opposing counsels a personal note after a case, regardless of whether she won or lost, because it is important to retain those connections. In the end, it is important to reach out to your contacts and not to be afraid to ask for introductions or informational interviews. Once you are consistent, you will establish your own brand and the networking will become natural. About Ivana Ventić: A contract attorney at the Law Offices of Kurt E. Olsen, in house counsel for Zurich Insurance. She represents the insureds of Zurich Insurance Group in civil litigation, concentrating on bodily injury, products liability, premises liability, construction site injury, and construction defect liability. Content originally appeared in the Winter 2014 Women’s Bar Association of Illinois Newsletter.